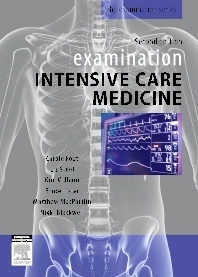 This is a high quality exam-focused resource to facilitate passage through ICU fellowship examinations. There is currently no specific competing publication that specifically meets the goals of an examination guide for ICM trainees. This book covers the key components of the exam syllabuses for FCICM, EDIC and DICM, and builds on the ICM component of the previous edition, Examination Intensive Care and Anaesthesia. The book deals with all elements of the individual clinical examinations including performance strategies and provides a chapter on paediatric intensive care. The book is suitable for all trainees in Intensive Care Medicine. Trainees in Anaesthesia, Emergency Medicine, Surgery and Medicine will also find it useful.